Peplink is a leader in providing Internet multi-wan routers which aggregate bandwidth, perform failover, keep 100% Internet uptime and ultimately protect business continuity. Peplink’s products have been deployed by Service Providers, Small and Medium Businesses, and Enterprises around the world. Peplink was established to focus on new product development initiatives and continues to bring innovation to the marketplace. Peplink operates globally with offices in North America and Asia, in cooperation with distributors, system integrators, and strategic alliance partners. 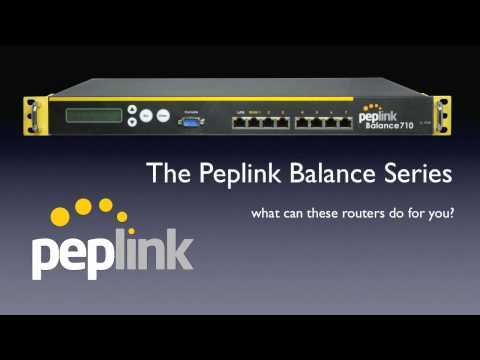 With Peplink Balance, any type of connection like cable, DSL, cellular, and other links will work together to handle even the most demanding traffic, without lags or downtime. Peplink Balance incorporates 7 advanced link load-balancing algorithms and customizable rules that can control of network data priorities in a very precise way. After setting specific traffic priorities, including VoIP and custom application traffic, Peplink can take care of the load-balancing and optimization details. Peplink specializes in Internet redundancy, Link Load Balance, Failover, High Availability and Business Continuity solutions. Peplink load balance devices enable the aggregation of multiple lower-cost Internet connections to effect a high-speed connection. All Peplink appliances can be managed via Web Browser, where any change can be made with a very easy way even for complex processes (creation of interior DNS Server, Quality of Service, priority of protocol/line DSL per network subnet etc) which compared to other appliances of the market, is minimal and not particular knowledge and extensive time of setup is required. 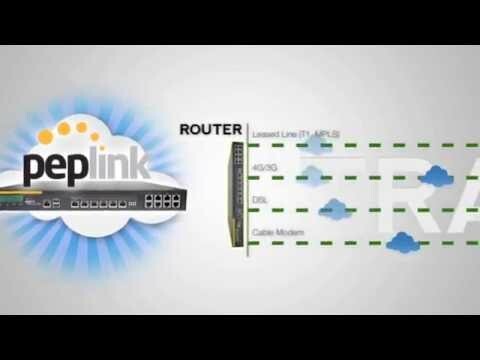 Peplink Internet Load Balancing technology can prioritize traffic by type, so that most important data and applications always get VIP treatment. Peplink’s patent-pending SpeedFusion technology powers enterprise VPNs that tap into the bandwidth of up to 13 low-cost cable, DSL, 3G/4G/LTE, and other links connected anywhere on a corporate or institutional WAN. Whether transferring documents or driving realtime POS data, video feeds, and doing VoIP conversations, SpeedFusion pumps all data down a single fat datapipe that’s budget-friendly, ultra-fast, and easily configurable to suit any networking environment. 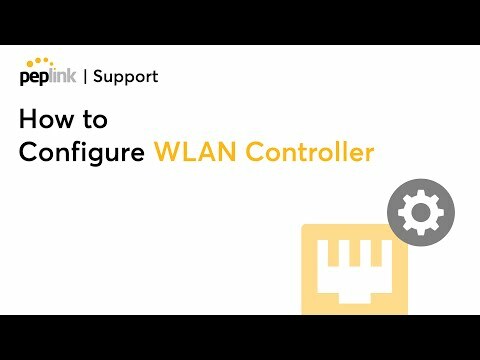 How to Configure WLAN Controller? Peplink Balance: How to Create Outbound Rules? Peplink Balance: What is Drop-in Mode? The company creates very robust wireless solutions specialized for enterprises, carriers and wireless infrastructures of industrial grade. The devices have great stability and affordable cost of possession. The company does not stop thinking innovative. Whether you want to make a wireless network in your enterprise or to manufacture a public hotspot or an internet provider via wireless networking this is the line of products to invest. Max Cellular Router family makes wireless applications in high speed environments an effortless reality. MAX Router family are the only professional load balancing mobile routers on the market. MAX Routers are ideal for trains and vehicles since they can bring streaming video over Wi-Fi to rail systems at over 75 MPH and they are great for periodic access to citywide mesh networks and nearby hotspots. Pepwave vendor neutral approach allows you to take advantage of existing infrastructure. Fleet tracking, IP video upload, database access, electronic scheduling, E-mail, and other systems can be easily accessed from inside a vehicle. MAX Routers can also rebroadcast a secure Wi-Fi network for laptops or PDAs to gain access while outside of the vehicles. Building and managing hotspots can be a nightmare. Some solutions are too simple to provide real usefulness, while others are too expensive and complicated to be realistic. A solution which provides true central management has been a rarity, until now. Pepwave gives you many choices for setting up the exact hotspot or portal solution your project requires. Pepwave AP One access points offer fast, affordable, and dependable wireless networking without administration headaches. Ready for anything and built to go anywhere, AP One access points deliver enterprise-grade Wi-Fi that drops in quickly and immediately gets to work. With InControl central wireless management system, you can control access points fast and easy. The company has built a reputation as an innovator in carrier grade wireless solutions. With thousands of installations around the world, the Pepwave Flex family sets the industry standard choice for citywide Wi-Fi CPEs. No other vendor provides an end to end solution with so many choices. With great commitment to performance and reliability, you can be sure we will have products to enhance your network. Deliver fast and reliable Wi-Fi in even the harshest conditions with the Peplink AP Pro. The AP Pro’s sealed, all-metal IP67 enclosure stands up to dirt, water, and extreme temperatures for years of dependable operation in industrial, pufblic safety, transport, and other applications. 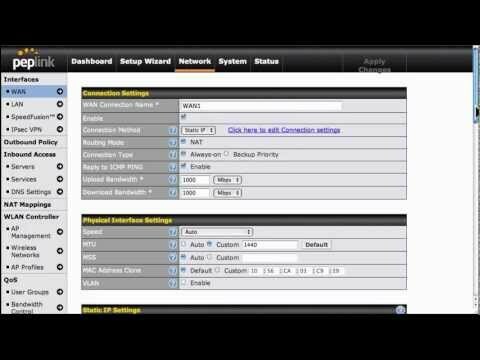 Built-in PoE gives you more installation options and reduces deployment costs. 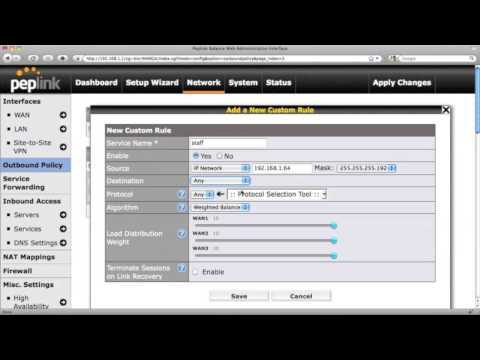 And intuitive console- and cloud-based control makes configuration and maintenance simple for everyone. They can provide cost savings of up to 90% compared to solutions built on leased lines and other expensive links.